Hey everyone today I have a little review review for you guys on a new staple piece that I have been wearing like crazy. This is the Jord Sidney Wood Watch, and oh my goodness she is so beautiful. This watch was given to me to review, but that does not reflect my opinions on this watch. 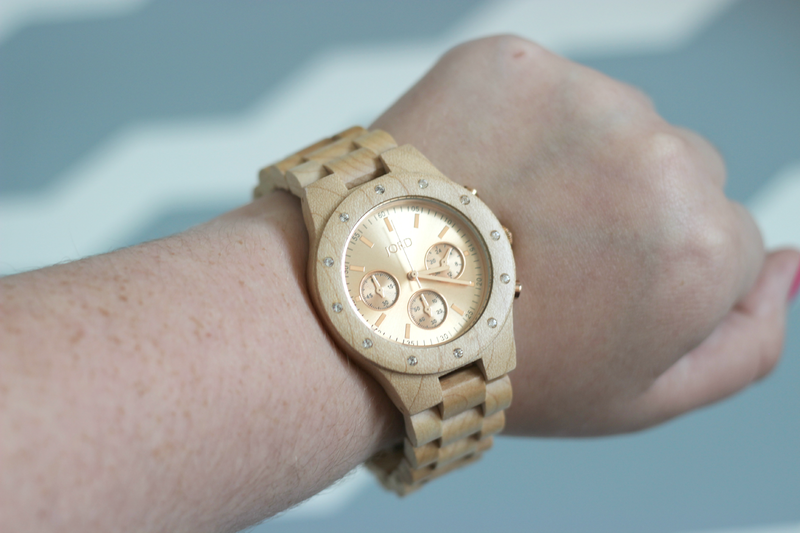 The Sidney Series Wood Watch has a nice maple wooden band and a rose gold face. I knew right away that I had to get this watch because of the rose gold. 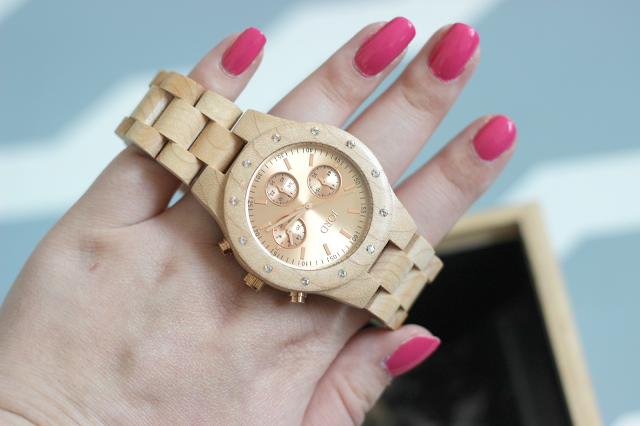 The watch does come in a beautiful wooden box where you can store your watch if you would like. I thought it was a wonderful added touch when it had arrived. The thing I love the most about the watch is the wood. 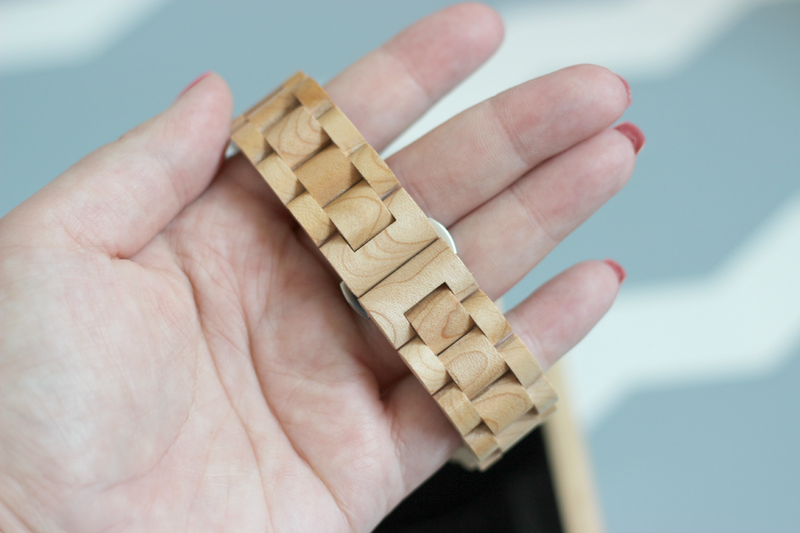 I have never came a crossed a wooden watch before, and I think the concept is amazing. I think the wood really helps make the watch more wearable but it also makes it classy as well. 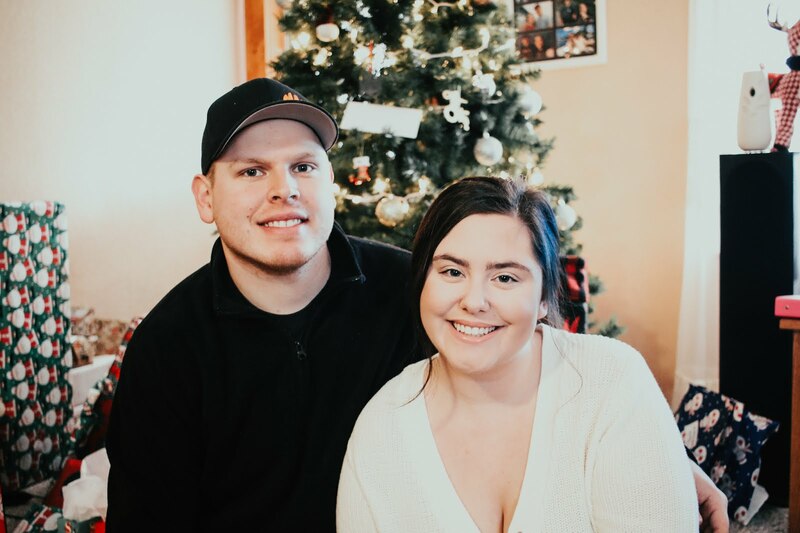 Even though I did choose the rose gold, it most certainly goes with any color, and I think the colors are perfect all year round. Another thing that I love about ordering the watch is that you can have it sized for you. So instead of going in to get it adjusted to your correct length, you have the option to have it sized the way you want, without having to go in anywhere. 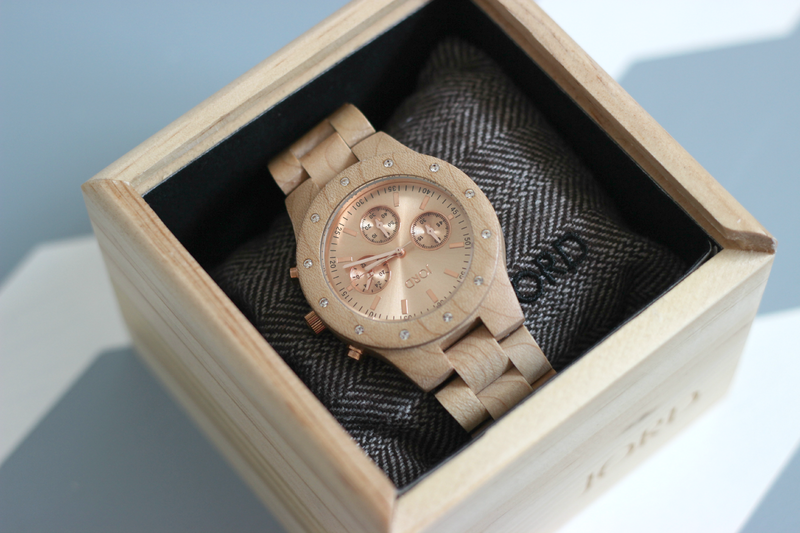 This watch can be found at http://www.woodwatches.com/series/sidney#39/#weloveswatches and it does retail for $179.00. I have my eye on a few other watches that I am hoping to get for my collection. ik vind het zo'n gaaf horloge! Soooo pretty! This is both classy and casual at the same time. The price tag isn't even that bad either! Definitely going to keep my eyes peeled.